Two new types of the safety gate system PSENslock are now available. 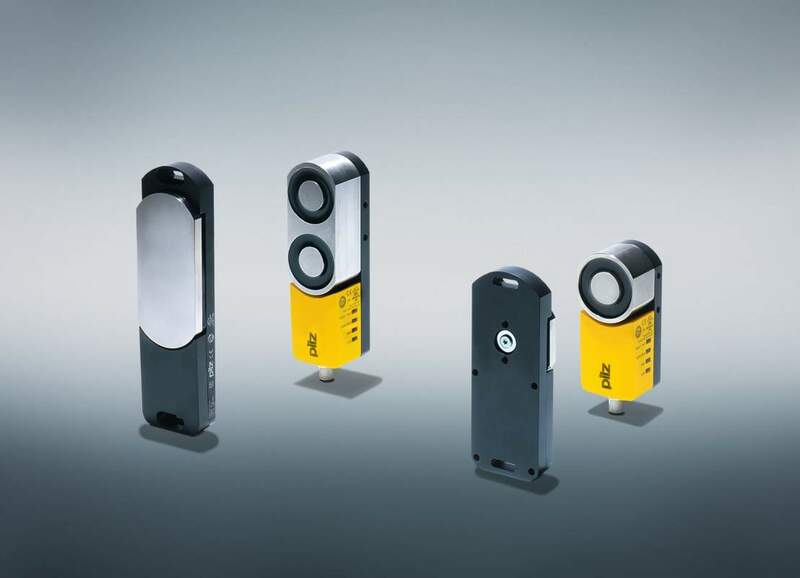 PSENslock offers safety gate monitoring with electromagnetic process guarding in one compact product – including maximum manipulation protection - and safeguards gates, flaps and covers. To provide optimum support with your tasks, two new product types have been added to the successful product range (PSENslock 6.1 and PSENslock 3.1/4.1/4.2). Particularly in application areas in which several PSENslock are used, PSENslock 6.1 with its expanded diagnostic functions enables users to detect which switch was unable to activate guard locking. This saves you time in the event of an error, as diagnostics can be carried out more quickly. The PSENslock type 3.1/4.1/4.2 has safety outputs that are independent of guard locking (OSSDs), enabling the OSSDs to switch irrespective of the status of guard locking. As a result, users have greater flexibility and design scope for the application. Both types are 8-pin versions, which you can evaluate using various PNOZ relays, the control system PNOZmulti and the automation system PSS 4000. Also, it's still possible to connect in series with additional PSENslock, safety gate systems PSENsgate and safety switches PSENcode. Visit us at the Hannover Messe (Germany) - we'll be delighted to present the new type of safety gate system PSENslock in person.